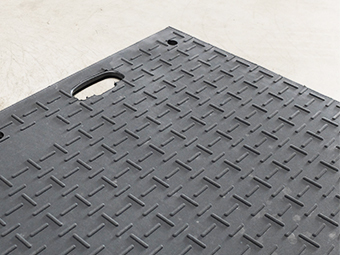 Plastic road plates are light and so are easy to deliver and handle. 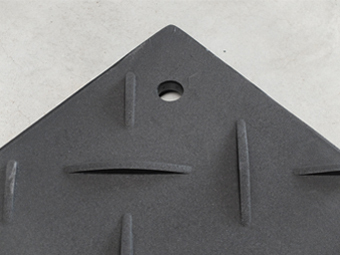 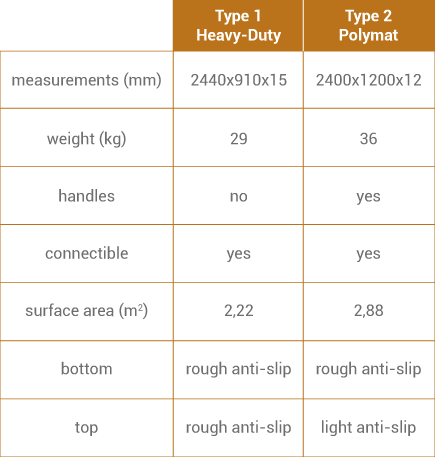 There are 2 kinds of polyethylene road plates available for rent: Heavy-Duty and Polymat. 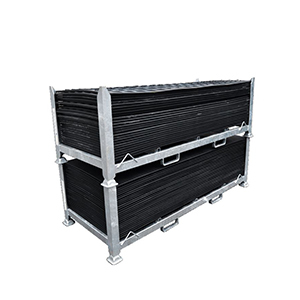 Galvanized steel units for securely storing and transporting max. 25 plastic road plates. 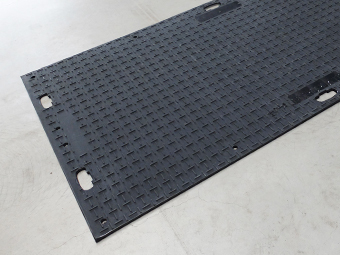 The shelving units can be vertically stacked and manoeuvred using a forklift truck (fork extensions) or crane (lifting eyes). 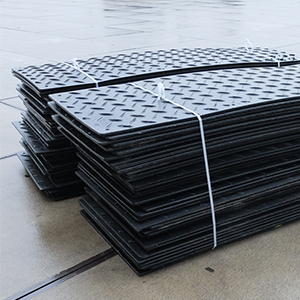 If requested, rented plastic road plates can be packed using polyester strapping.